Our secondary teacher education program offers 6th-12th grade teacher certification in six different areas. The goal of our secondary education major is to prepare students to be masters of both content and pedagogy. By pairing Samford's renowned and rigorous content classes with solid pedagogy and teaching strategies, we aim to equip our graduates to be highly skilled and innovative educators. Secondary educators are called to make a difference. They must be creative innovators and learning enthusiasts. Secondary education majors are flexible, critical thinkers who constantly make ethical decisions. One must be a student motivator, passionate about the content they teach and have a willingness to guide and mentor others. Samford’s Secondary Education Department offers students the unique ability to double major in their content area. In four years, a student can graduate with a major in both content and pedagogy. Here at Samford, our Secondary Education program gets students off campus and in real 6-12 classroom settings early and often. Starting as early as freshman year, students begin their clinical observations in schools. Class by class, throughout the program, these clinical experiences in both middle and high schools allow students to delve deeper into more meaningful and purposeful planning, co-teaching and teaching responsibilities. Our program graduates have gone on to teach, coach and sponsor student activities. Many pursue graduate school, in either teaching or their specific content area. Various jobs include teaching/coaching in public and private schools, mission work, school administration (principals, superintendents, athletic directors, school counseling) and teaching in higher education (i.e. professorship roles). Double majors can also use their content degrees for jobs outside of education. In recent years, we’ve had English education majors become editors/writers for online blogs and websites, history education majors go on to work in museums and math education majors to pursue graduate school in the biomedical field. The student-teaching/internship semester is the final experience in teacher education. The internship experience includes 15 weeks of student teaching and may be taken in the final semester (fall or spring). It is here when students truly get a taste of the daily life of an educator. Student placements may be in public, private, middle or high schools. With advanced notice, and faculty approval, students can also request to do internships abroad/out of the immediate Samford area. The Secondary Education department works closely with overseas education, allowing our students to do internships leading into jobs with the Network of International Christian Schools program. We also work closely with the Memphis Teacher Residency. The secondary education major received National Specialized Professional Association (SPA) accreditation from the National Council of Teachers of English (NCTE). All students earning certification must successfully pass an exit examination, currently Praxis II in content area. All students earning certification must successfully pass the Alabama Prospective Teacher Testing Program (APTTP). Grade of C- or better required in all courses. GPA of at least 2.75. Completion of an interview with a faculty member in the OBB School of Education. Two letters of recommendation for ESEC majors. Two letters of recommendation for secondary education or P–12 from a professor in the student’s major department and a professor in the teacher education department. Completion of signed document verifying ABI and FBI criminal background checks. Passing score on the Alabama Prospective Teacher Testing Program (APTTP) examination. Demonstration of satisfactory potential for teaching, including evidence of emotional stability and a satisfactory record as to conduct, character, and mental health, to the effect that the applicant does not have any personal qualities prejudicial to satisfactory performance as a teacher. Acceptance is contingent upon the recommendation of the admissions panel, which meets twice yearly. Applicants will be notified in writing of their acceptance or rejection. 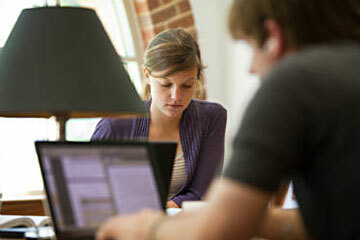 Transfer students follow the same admission policies. Education courses may not be transferred into the teacher education program without permission from the department chair. All curriculum and instruction majors are required to complete a wide variety of clinical experiences. These begin in the first semester of the education curriculum and extend throughout the program. ESEC majors will complete a minimum of 30 weeks. This includes one three-week Jan Term experience and observing a first day of school. Secondary majors will complete a minimum of 24 weeks. This includes one three-week Jan Term experience and observing a first day of school. Students must maintain satisfactory evaluations of performance in all clinical experiences in order to progress through the teacher education program. The student-teaching semester is the final experience in teacher education. The internship experience includes 15 weeks of student teaching and may be taken in the fall or spring semester. Students planning on student teaching in the fall must submit the student-teaching application during the preregistration period of the preceding fall. Students planning on student teaching in the spring must submit the student-teaching application during the preregistration period of the preceding spring. Applications must be turned in to the Office of Clinical Experience in OBB Room 322. To be eligible for student teaching, a student must have been admitted to teacher education, be in good academic standing, have demonstrated necessary dispositions to be a successful teacher, have successfully completed the required clinical experience, completed 56 of the required 64 convocation credits, and must have had a complete records check. To be in good academic standing, a student must have completed all EDUC-prefix courses and all essential teaching-field courses, have removed all Incompletes from all courses, and have maintained a 3.00 (ESEC majors) or 2.80 (secondary and P-12 majors) GPA overall and in each teaching field. Students are referred to the Clinical Handbook for a complete explanation of the required clinical experience. Student teachers must observe the guidelines established by Samford University and all the rules set by the school in which the student teaching is done. Failure to do so can result in the student being dropped from the professional semester or removed from his/her school placement. A student may only repeat the student-teaching semester one time. Students should consult the Clinical Handbook for additional information. Students who successfully complete a prescribed program at the baccalaureate level in teacher education will be eligible for the Alabama Class B teacher certificate in their area(s) of specialization. Completion of the program is contingent upon achieving a 3.00 (ESEC majors) or 2.80 (secondary and P–12 majors) GPA in the area or areas of specialization, in the professional components, in the higher education GPA, and performing satisfactorily as a teacher during the professional semester. Students must also demonstrate professional dispositions as explained in the departmental dispositions policy. In order to receive certification, all students must be fingerprinted. Students enrolled in EDUC 221/222 will be informed of the ABI and FBI fingerprinting procedures. Students must also pass an exit examination (currently PRAXIS II) and the APTTP in order to receive certification. If a student successfully completes all program requirements, he/she may graduate, but certification may not be received until both exams are passed. See University Core Curriculum and General Education Requirements in the Howard College of Arts and Sciences introductory pages for a list of required courses. General education requirements are detailed in the individual degree tables, with some exceptions. In those cases where a requirement is not specified, consult pp. 64 and 185 for a list of applicable courses. For ESEC and history majors, INTL 202 is an acceptable substitution for the fine arts general education requirement. The Secondary Education major reflects changes to the course of study. Students now have the opportunity to choose between two tracks when pursuing their certification to teach. The changes made reflect a program designed to better serve the future graduates of this program. Double major in Secondary Education and correlating content major. Take required electives to meet State checklist needs for certification. The following department scholarships are available for current majors. Scholarships are awarded annually through an application process during the spring semester. Beeson Education Scholarships—A number of $1,000 scholarships are available to undergraduate education majors in early childhood education, elementary education, or secondary education due to the generosity of the Orlean Bullard Beeson family. Velma Wright Irons Memorial Scholarship—Will assist a student in the School of Education who is pursuing a vocational goal in elementary education and who has attained junior class rank. Kathryn Abercrombie Award—Based on scholarship, character, worthiness and need with an emphasis on worthiness. Need is not necessary. Winner to come from sophomore, junior, or senior who is enrolled in the School of Education. Brookwood Baptist / Campbell Scholarship—The Brookwood Scholarship guidelines state the recipient should be an undergraduate with a preference to early childhood education majors.